Digital Video Broadcasting - Satellite - Second Generation (DVB-S2) is a digital television broadcast standard that has been designed as a successor for the popular DVB-S system. It was developed in 2003 by the DVB Project, an international industry consortium, and ratified by ETSI (EN 302307) in March 2005. The standard is based on, and improves upon DVB-S and the electronic news-gathering (or Digital Satellite News Gathering) system, used by mobile units for sending sounds and images from remote locations world-wide back to their home television stations. DVB-S2 is envisaged (contemplate) for broadcast services including standard and HDTV, interactive services including Internet access, and (professional) data content distribution. The development of DVB-S2 coincided with the introduction of HDTV and H.264 (MPEG-4 AVC) video codecs. A powerful coding scheme based on a modern LDPC code. For low encoding complexity, the LDPC codes chosen have a special structure, also known as Irregular Repeat-Accumulate codes. VCM (Variable Coding and Modulation) and ACM (Adaptive Coding and Modulation) modes, which allow optimizing bandwidth utilization by dynamically changing transmission parameters. Other features include enhanced modulation schemes up to 32APSK, additional code rates, and the introduction of a generic transport mechanism for IP packet data including MPEG-4 audio–video streams, while supporting backward compatibility with existing MPEG-2 TS based transmission. DVB-S2 achieves a significantly better performance than its predecessors – mainly allowing for an increase of available bitrate over the same satellite transponder bandwidth. The measured DVB-S2 performance gain over DVB-S is around 30% at the same satellite transponder bandwidth and emitted signal power. When the contribution of improvements in video compression is added, an (MPEG-4 AVC) HDTV service can now be delivered in the same bandwidth that supported an early DVB-S based MPEG-2 SDTV service only a decade before. In March 2014, DVB-S2X specification has been published by DVB Project as an optional extension adding further improvements. Direct input of one or more MPEG-2 Transport Streams (TS). MPEG-TS is supported using a compatibility mode. The native stream format for DVB-S2 is called Generic Stream (GS), and can be used to efficiently carry IP-based data, including MPEG-4 AVC/H.264 services. Backward compatibility to DVB-S, intended for end users, and DVB-DSNG, used for backhauls and electronic news gathering. Variable coding and modulation (VCM) to optimize bandwidth utilization based on the priority of the input data; e.g., SDTV could be delivered using a more robust setting than the corresponding HDTV service. Adaptive coding and modulation (ACM) to allow flexibly adapting transmission parameters to the reception conditions of terminals, e.g., switching to a lower code rate during fading. QPSK and 8PSK are proposed for broadcast applications, and can be used in non-linear transponders driven near to saturation. 16APSK and 32APSK are used mainly for professional, semi-linear applications, but can also be used for broadcasting though they require a higher level of available C/N and an adoption of advanced pre-distortion methods in the uplink station in order to minimize the effect of transponder linearity. Improved rolloff: α = 0.20 and α = 0.25 in addition to the roll-off of DVB-S α = 0.35. Improved coding: a modern large LDPC code is concatenated with an outer BCH code to achieve quasi-error-free (QEF) reception conditions on an AWGN channel. The outer code is introduced to avoid error floors at low bit-error rates. A single forward error correction or FEC frame may have either 64800 bits (normal) or 16200 bits (short). If VCM or ACM is used, the broadcast can be a combination of normal and short frames. Several code rates for flexible configuration of transmission parameters: 1/4, 1/3, 2/5, 1/2, 3/5, 2/3, 3/4, 4/5, 5/6, 8/9, and 9/10. Code rates 1/4, 1/3, and 2/5 have been introduced for exceptionally poor reception conditions in combination with QPSK modulation. Encoding values 8/9 and 9/10 behave poorly under marginal link conditions (where the signal level is below the noise level). However, with targeted spot Ku or Ka band downlinks these code rates may be recommended to prevent out-of-region viewing for copyright or cultural reasons. Optional input stream synchronization to provide a constant end-to-end delay. Depending on code rate and modulation, the system can operate at a C/N between −2.4 dB (QPSK, 1/4) and 16 dB (32APSK, 9/10) with a quasi-error free goal of a 10−7 TS packet error rate. Distance to the Shannon limit ranges from 0.7 dB to 1.2 dB. Broadcasting television services in SDTV or HDTV. Optionally, this transmission may be backwards compatible with DVB-S, but does not benefit from the 30% extra bandwidth. Interactive services including Internet access. Data generated by the user may be sent by cable (copper/fibre optic), mobile wireless, or satellite uplink (DVB-RCS). Professional applications, where data must be multiplexed in real time and then broadcast in the VHF/UHF band (e.g., digital TV contribution, satellite news gathering). These transmissions are not intended for the average viewer. Large-scale data content distribution. These include point-to-point and multicast services, as well as transmission to head-ends for (re-)distribution over other media. The conversion process from DVB-S to DVB-S2 is being accelerated, due to the rapid increase of HDTV and introduction of 3D-HDTV. The main factor slowing down this process is the need to replace or upgrade set-top boxes, or acquire TVs with DVB-S2 integrated tuners, which makes the transition slower for established operators. Sun Direct TV The first broadcaster in India commenced transmission of HD Channels on DVB-S2 way back in 2007. Dish TV for all its HD/SD channel transmissions via AsiaSat 5 and DVB-S is being used for transmissions via NSS-6. Dolce operated by Romtelecom ,only for HD channels. For SD channels is using DVB-S. Backward compatibility, if subscribed to HD package. Service can only be accessed with proprietary Set-top-boxes. NDS Encrypted. Card paired with set top box. If You have a HD receiver from them, you are able to receive two HD channelsin basic package. Needs special antena for HD. Focus Sat operated by UPC Romania, only for HD .SD remains in DVB-S ( except fashion TV SD). Can be used with a DVB-S receiver for SD channels, or DVB-S2 for SD and HD. May be used also with a CAM and a TV with built in DVB-S (for SD channels)or DVB-S2 (Both SD and HD) tuner and common interface slot. HD channels are offered on separate package, therefore aside a HD terminal (TV or STB), you need to pay this package. CONNAX CAS 7 Encryption. Card not paired with receiver. Orange TV operated by Orange Romania , only in DVB-S2 both SD and HD. Viaccess Encrypted. Only available with proprietary set top boxes. Card paired with set top box. Set top boxes are only HD, these channels are available from the cheapest package. Digi TV , operated by RCS & RDS ( since March 2014) . Until March 2014, only DVB-S, SD. Nagravision 3 Encrypted. 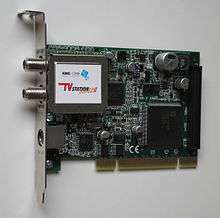 Although it is said that the card and receiver are paired, some subscribers stated that the service can also be accessed with a TV with built in DVB-S/S2 tuner and common interface by using a CAM. However, Until March 2014, only SD channels were available . Needs special subscribing for HD. DVB-S is used in SD reception while DVB-S2 is used both for SD and HD. Astro in Malaysia (currently only for HD channels; uses DVB-S for backwards compatibility with SD channels). DirecTV in the US using H.264/MPEG-4 AVC codec for local and some national HDTV channels (newer satellites). Dish Network in the US (new channels). DStv in South Africa for HD channels; SD channels use DVB-S.
Dialog TV in Sri Lanka for HD channels and some SD channels; other SD channels use DVB-S. These broadcasters have used DVB-S2 in their internal broadcast distribution networks, but may not have instituted DVB-S2 transmissions for consumers. ↑ "DVB-S2X specification receives approval from DVB Steering board" (PDF). DVB Project. Wikimedia Commons has media related to DVB-S2.